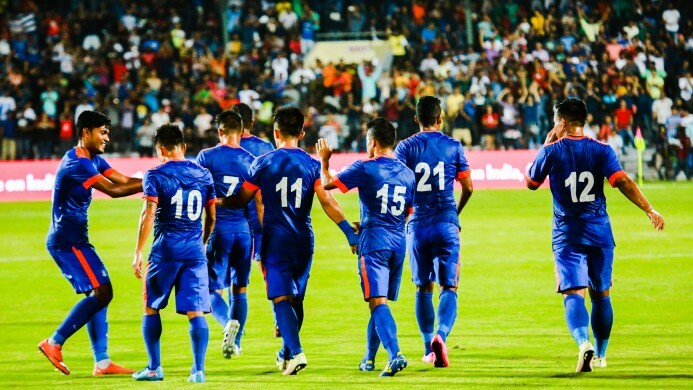 A 24-member Indian National Team squad will leave Mumbai later tonight (March 18, 2017) for India’s back to back matches -- the International Friendly against Cambodia in Phnom Penh and the inaugural Group A League match against Myanmar in the AFC Asian Cup Qualifiers UAE 2019. Goalkeepers: Subrata Paul, Gurpreet Singh Sandhu, TP Rehenesh. 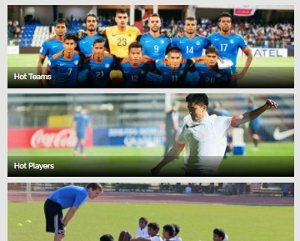 Defenders: Pritam Kotal, Nishu Kumar, Sandesh Jhingan, Arnab Mondal, Anas Edathodika, Dhanapal Ganesh, Fulganco Cardozo, Narayan Das, Jerry Lanrinzuala. This is likely to be the most effective formation with the sqauad Constantie has picked. The back four pick themselves and the two full-backs will have plenty of freedom to bomb up and down the wings, as they flank the experienced centre-back pairing of Arnab Mondal and Anas Edathodika. In midfield, Rowlin Borges will be the primary holding player but when without the ball Milan Singh will need to tuck in alongside Borges for the structure to function efficiently. 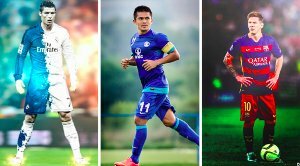 The creative onus lies on the Bengaluru FC trio of Sunil Chhetri, Eugenesin Lyngdoh and CK Vineeth. These are players who can create opportunities out of nothing and the synergy formed at club level should be helpful here. The versatile Robin Singh who is adept with the ball at his feet and in the air will lead the line, presentig the team the options to vary their style of play depending on the situation of the game. Chhetri and Vineeth will also track to assist the full-backs. This 4-1-3-2 formation is a more attacking option. So, Jerry Lalrinzuala replaces Das at left-back. Here, Mondal becomes the left centre-back and is tasked with clearing the ball. Sandesh Jhingan can play the ball out of the back and plays alongside owing to his stronger right foot. Borges is the holding player. The three ahead of him have the license to attack and create plenty of opportunities for the strike pairing of Jeje Lalpekhlua and Robin Singh. Here too the wingers track back and supplement the two full-backs.